Sahana Kuthyar is the lab manager for the Amato Laboratory. She is an aspiring disease ecologist dedicated to integrating ecological principles in her approach to public and environmental health. She completed both her BS and MS degrees in Environmental Sciences at Emory University, where she studied the zoonotic transmission of Giardia intestinalis in Argentinean howler monkeys. Her scientific interests include host-pathogen-microbe interactions, zoonotic infectious disease, and science communication. 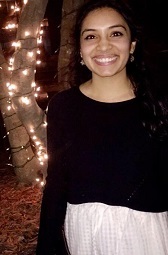 Sahana's experiences in both science and the arts have led her to appreciate an interdisciplinary approach to examining research questions and solving problems.